"Mangaka" is a term for someone who creates manga. The artists in MANGAKA AMERICA represent the newest dynamic talents in the field and are professionally creating it for an American audience, something that was unheard of 20 years ago. 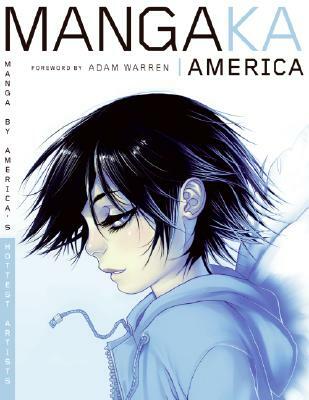 MANGAKA AMERICA showcases a selection of these US–based mangaka, highlighting each artist's unique contibution to the genre. Manga fans are often anxious to learn new skills and techniques, and this book also provides mini–tutorials in which each artist provides instruction on character design, layouts, digital inking, and coloring. SteelRiver Studio is comprised of award-winning graphic designer and illustrator Will Staehle, and Tania del Rio, a professional American manga artist who has done work for TOKYOPOP, Marvel Comics, and Archie Comics. SteelRiver Studio is proud to showcase the work of these talented artists is and committed to helping quality American manga achieve the recognition and respect it deserves.